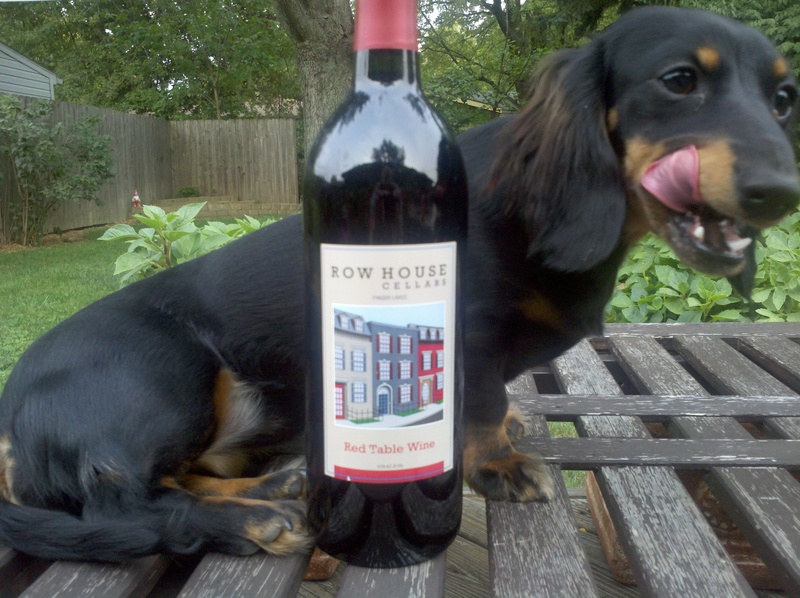 Wine Review: White Springs Winery Row House Red | Wine Splash! Our Wine Dox Daisy gives this wine 3 1/2 Paws out of 5! 9/17/2012 rated 85 points: We picked up this wine travelling through the Finger Lakes, NY with friends. We stopped at White Springs Winery on beautiful Seneca Lake and we enjoyed many of their wines. This one was a very flavorful red and at an extremely good value being under $12 a bottle. This is a blend of Cabernet Franc, Cabernet Sauvignon, Merlot, and Pinot Noir. In our glass, this wine was a nice, deep garnet color. On the nose, lots of dark berry, black cherry, and spice. Over the palate, this wine is very soft, smooth, and is full bodied. Flavors of blackberry, plum, spices, and a hint of green pepper. It was very mellow with a smooth finish. A nice easy drinking wine for everyday sipping and to pair with food. We had this wine with barbequed pork chops and it paired very nicely. It would also pair with pork tenderloin, pasta with tomato sauce, or a greek salad. This was a nice everyday wine and would give it 85 points. Our Wine Dox Daisy gives it 3 1/2 paws out of 5! Lots of great berry flavors, ripe fruit, and a smooth finish! This is a non vintage wine and it should be best if you drink it within 6 months of when you purchased it. For more information about White Springs Winery, check out www.WhiteSpringsWinery.com WineSplashing! !